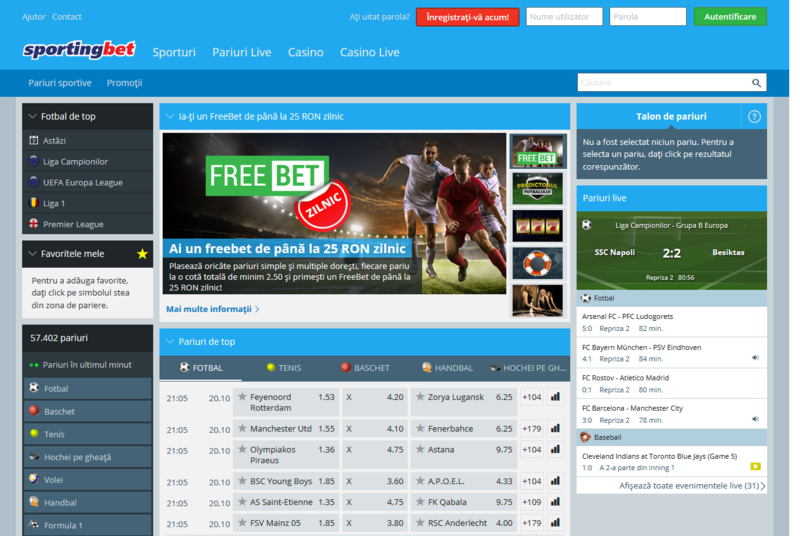 As regards the possibility of depositing and withdrawing money from the player’s account, Sportingbet differs from the best bookmaking companies. Everyone can find a suitable form among depositing possibilities. We can therefore use credit cards, e-wallets and traditional bank transfers, both instant and standard ones. In most cases, no fees are charged for ordering a deposit, yet, it can happen in certain exceptional cases. In such a situation, the user will be presented with the amount of the commission while defining the amount of the deposit. Sportingbet has low deposit thresholds, but remember, when defining the first Sportingbet deposit, that the amount will also affect the welcome deposit. One should also mention the basic issue. Remember that withdrawal can be ordered exclusively in the form in which the deposit was made. So if you have made a deposit with the use of a credit card, you will not be able to withdraw money to Skrill or Neteller account. During the first withdrawal, you will probably be asked to send scanned copies of documents confirming your majority and personal data. The first withdrawal usually takes longer, as it requires identity verification. If the time has been considerably exceeded, contact the player service centre in order to clarify the problem. These are probably only technical problems, as with such a large number of transactions, some of them can go out too late. Yet, it happens very rarely. The subsequent withdrawals are carried out much faster. Most orders for a withdrawal to the account of an e-wallet will be processed in a few minutes. The most time-consuming are, of course, deposits and withdrawals with the use of a traditional bank transfer. In such a case, it can last even 3 business days.